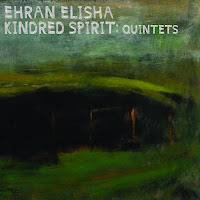 NYC based drummer and composer Ehran Elisha's double album Kindred Spirit: Quintets is a rich trove of music hewn from close listening and deep personal/musical connections. The first disc, Kindred Soul features the late Roy Campbell (1952-2014) on trumpet, and the second disc, the Spirit Suite, is an improvised group with OutNow label mates including Yoni Kretzmer and Michael Attias. The connecting thread, aside from the drummer of course, is that both quintets were recorded at IBeam in Brooklyn one night in 2013. 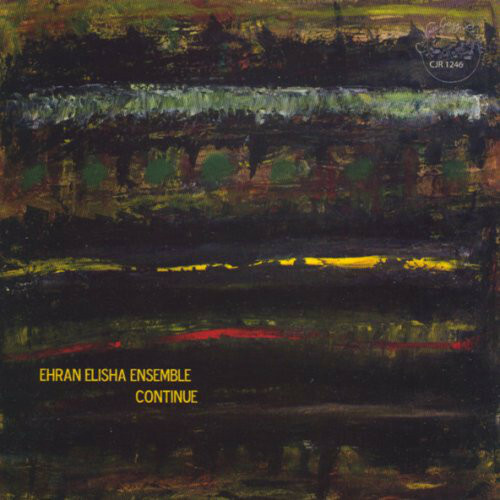 A real treat of the Kindred Soul quintet is a chance to hear new posthumous work from Campbell, but it is the duo of Ehran and his father, pianist Haim Elisha, that are at the heart of this music. Ehran sets up the framework for the group's interplay as the album opens. The first track, 'Prism' begins with atmospheric percussion and a light sprinkling of mysterious arpeggios from the piano, then, when Campbell enters, a real boost of energy. The intersection of Campbell's melodic lines with open tonal clusters from the piano, accented by percussive textures, is a treat to savor. On 'Charted Treks' Campbell sets the stage as his blues-drenched trumpet work shoots laser-like through oscillating piano figures and an undulating rhythm. On 'New Horizon', violinist Sam Bardfeld goes toe-to-toe with Campbell in a kinetic tussle. 'Moving On' features an energetic bass and drum passage that bundles up melody and atonality in a tempting package. In both of these quintets, Elisha's drumming is an equal partner in melody and tempo. He doesn't try to stand out as much as pull together through improvisation and composition. His great strength comes through creating the setting and guiding the music through its complex moods and approaches. Kindred Spirit: Quintets is an excellent showcase for Elisha's musical concepts and relationships. 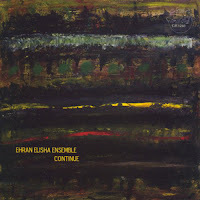 Worth a mention is Elisha's previous album Continue. 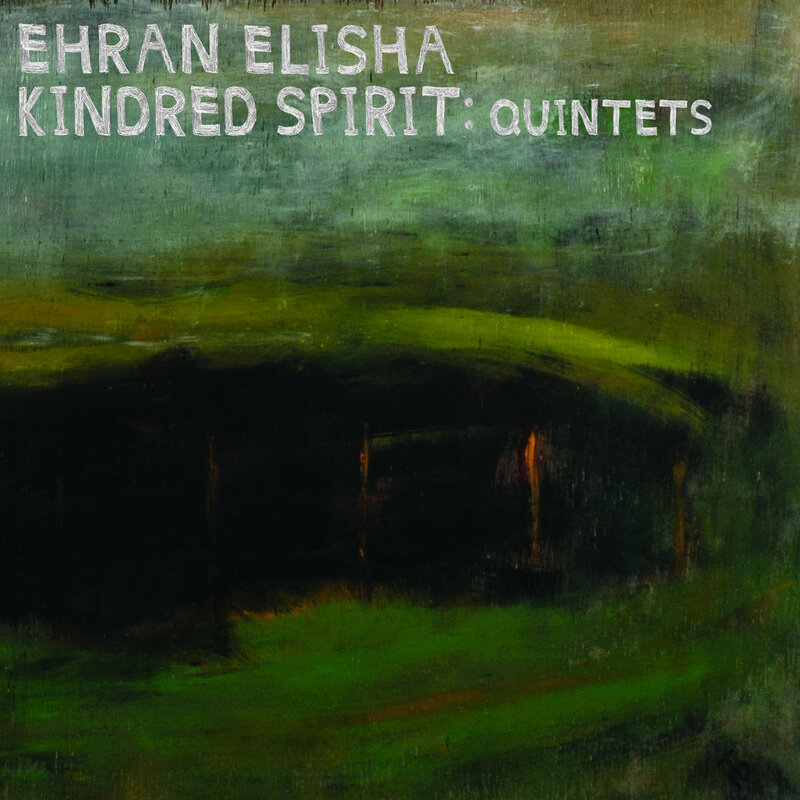 Also featuring the piano work of his father Haim Elisha, the tight musical connection that drives the Kindred Souls quintet is on full display here too, along with the work of violinist Sam Bardfeld, saxophonist David Bindman, and bassist Ken Filiano. 'Continue, part one' begins with long passages featuring all the players, but right about in the middle of the 18-minute track, there is a spot where all the points seem to connect, like the center of an intricate spider's web and bassist Ken Filiano anchors it. From there, the bass and violin take extended solos with minimal splashes of color from the piano. When the sax comes back in, the music has changed and part two begins. Another highlight is the short 'Kirat Moshe' - an homage to the Jerusalem neighborhood perhaps - tinged with a melancholic beauty. The mix of instruments and sharp compositions makes Continue something to come back to again and again.